Some pundits would tell you that the best opportunities for authors are the ones they create for themselves, and now that apparently includes enhanced ebook formats like Amazon's Kindle in Motion. 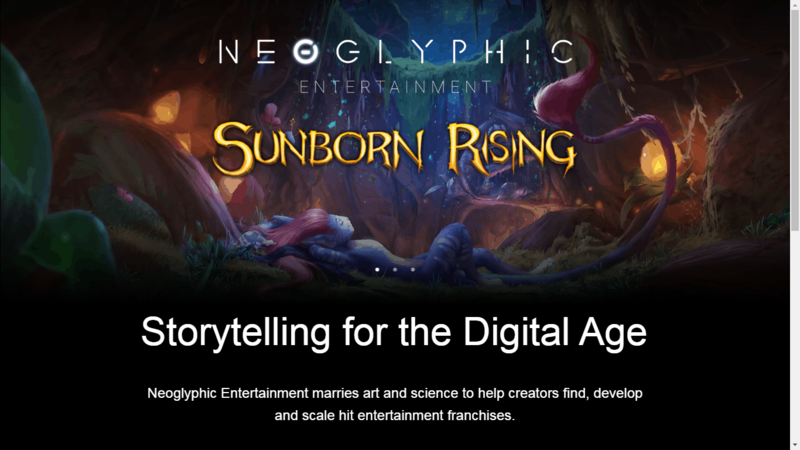 Although enhanced e-books and apps with sound and video have been poorly received by book consumers, Neoglyphic Entertainment, an entertainment technology developer, has created a platform that makes use of data science, gaming technology, machine learning and crowd-based focus groups to create new experiences around traditional storytelling. The company has plans to offer its multimedia platform as a for-pay service to other publishers to create multimedia e-books from their own publishing lists. n May Neoglyphic published Sunborn Rising: Beneath the Fall, an illustrated middle grade fantasy series by Safronoff. The series was released in hardcover, trade paperback and a Kindle edition, and follows an elf-like civilization facing an environmental crisis. This story caught my eye because both of the enhanced ebooks produced by Neoglyphic so far were written by Aaron Safronoff. He is both a published author and one of the founders of Neoglyphic. His title is Chief Storyteller, so in short this startup is an example of an author creating an opportunity for himself. That said, I now own both ebooks and I'm not exactly sure how the ebooks have been enhanced. Spire is a 4MB ebook, and Sunborn Rising weighs in at 16MB, so you would think there would be some enhancements. The text alone rarely accounts for more than 500KB in an ebook, but there's no indication as to what is taking up the rest of the space. I've queried Neoglyphic, and I will add their explanation to this post when I get it. One of Neoglyphic's other projects is easy to understand; it's a realistic fur model for 3d graphics. But that doesn't tell us anything about the enhanced ebooks. Neoglyphic plans to license its tech to publishers so that the publishers can create their own enhanced ebooks. That's great, but it's still not clear what the tech is or what it can do. Edit: Okay, I've heard back from the company and the ebooks are simply ebooks. (That's not what their website implied.) The enhanced ebooks are actually apps and other stuff around the ebooks.